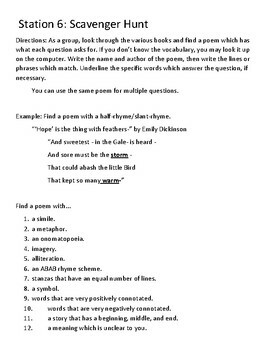 Need a FUN way to start a poetry unit? 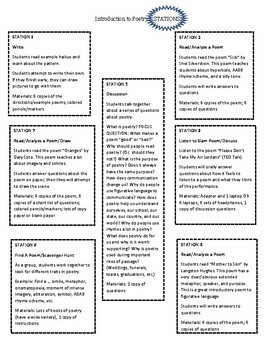 These poetry stations will have students MOVING around the room. One station encourages DISCUSSION with incredible questions to get students talking. 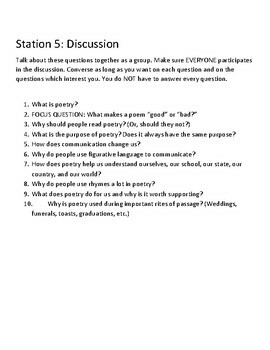 Other stations have poems with grade appropriate questions to encourage student thinking and READING and ANALYZING. 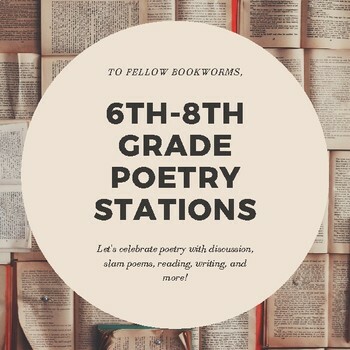 Other stations will allow students to LISTEN to slam poetry, to WRITE their own poems, to complete a SCAVENGER HUNT, and to DRAW a visual for a poem they read. Questions to go with a slam poem from the Ted Talk "Give Me Back my Air Jordans"